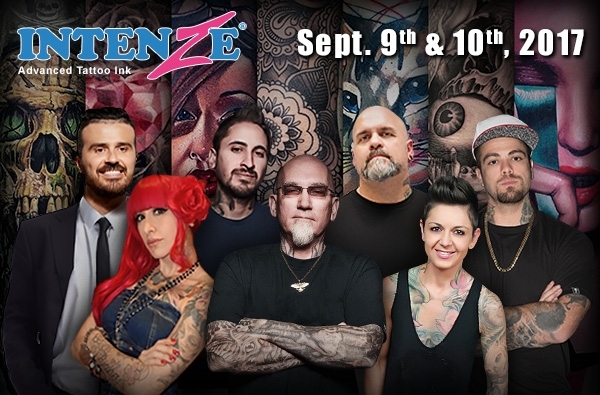 September 9th and 10th — Mario Barth’s Body Art Unleashed, powered by The INTENZE Creative Academy, offers you over 15 hours of live, fully interactive seminars and lifestyle talks with the world’s leading artists and tattoo, piercing, and fashion industry professionals. If you have questions as a learning tattoo artist, an art enthusiast, or as someone who is interested in getting a tattoo for the first time, this is YOUR chance to get answers! ARE YOU INTERESTING IN LEARNING HOW MASTER ARTISTS APPROACH THEIR WORK AND ACHIEVE GREAT RESULTS? Our live interactive Q&A tattoos & seminars offer you the opportunity to ask these questions directly to the artists and provide answers in real time. See the world's greatest artists explain the techniques and strategies behind their art when you watch our live seminar and tattoo streams. Watch master artists tattoo fresh new pieces from beginning to finish. Send your questions over live chat to have artists answer you in real time. All streams are accessible to everybody worldwide at absolutely no cost. DUE TO THE CREATIVE NATURE OF TATTOOING, BE ADVISED THAT THE SCHEDULE WRITTEN BELOW IS LIABLE TO CHANGE PRIOR TO THE EVENT. Mario Barth's Body Art Unleashed and The INTENZE Creative Academy are taking interactive discussion and tattooing news to the next level. Throughout September 9th and 10th, we'll cover a variety of topics — from worldwide industry news and discussions on new technologies for artists to fashion influences, tips for the tattoo newcomer, medical breakthroughs, and more — all of which will have fully interactive Q&A. See the breakdown of topics below and sign up to our newsletter to stay up to date on the latest programs that you won't want to miss.